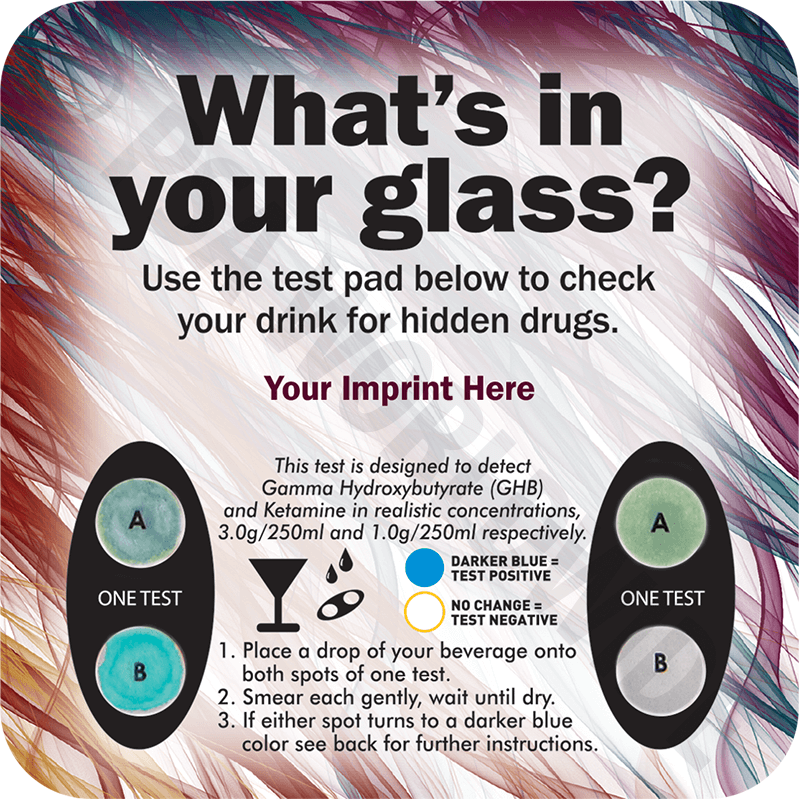 This coaster has two test strips for detecting GHB or Ketamine. 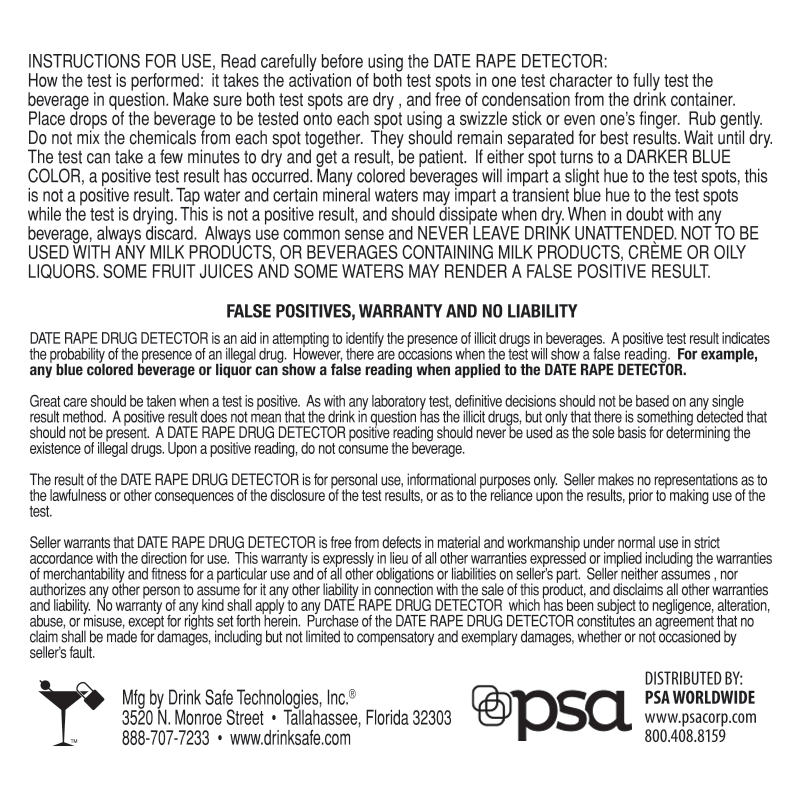 Place a drop of liquid on test pad; blue reaction color indicates possible contamination. Customize our template or create your own artwork.